Hello again, a lot has happened since last week. I have been pretty busy at work so I am a bit behind on the posts I wanted to write. But I am at least trying to get one post a week up until things calm down. Anyway, this past weekend was the 41st Annual Maryland Sheep and Wool Festival. I had been saving up so I bought a lot of awesome yarn for this year's projects. That in itself is another post hopefully this week. Plus I still need to get some good shots of the yarns I bought. On Sunday, I also got to go to my first playoff game of the Pittsburgh Penguins. Spoiler Alert --> they won! Now it's back to the grind but I have some awesome things to show you this week. 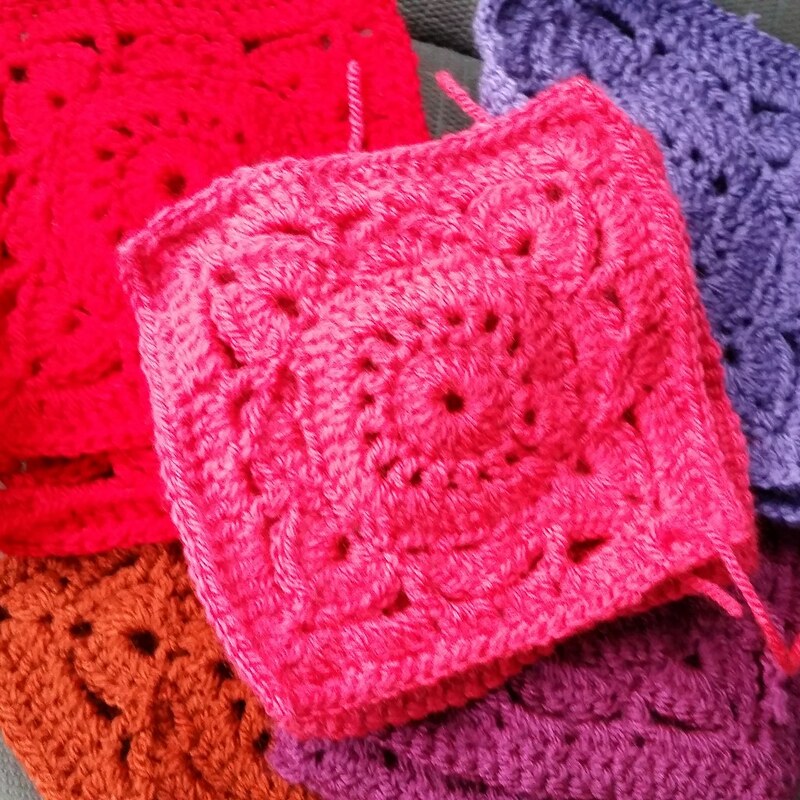 I got the Pomegranate squares done bu nothing more really started. 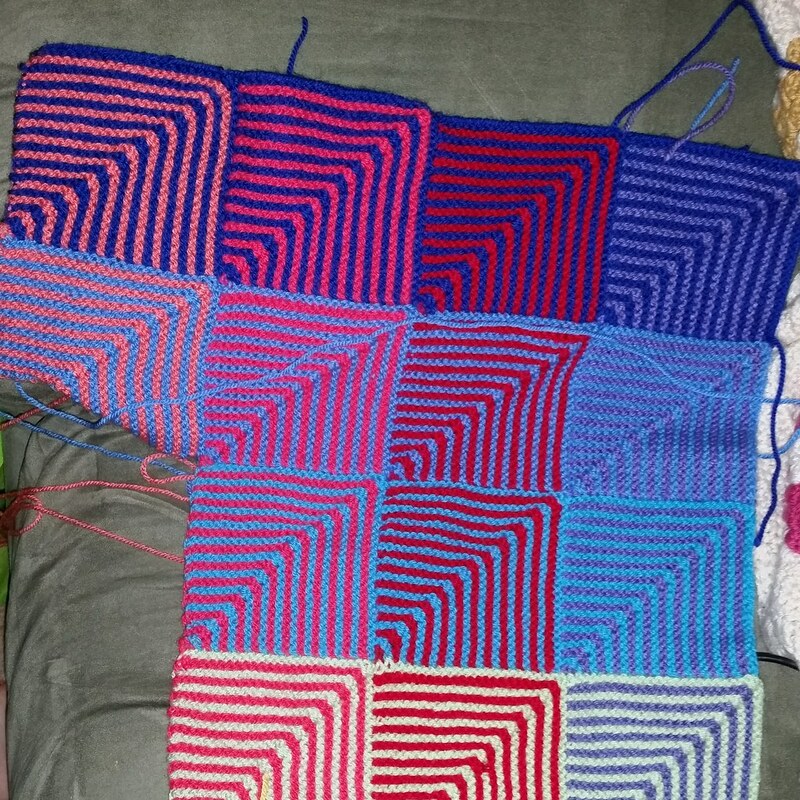 I want to get to the Shrimp squares but I need to finish that row on the Hue Shift. Other than that these are coming along nicely. 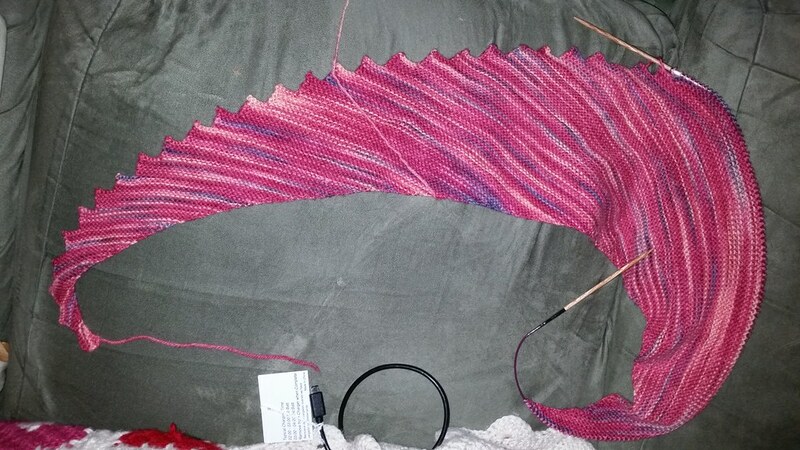 So I am plugging along with this block. The added incentive to get a color finished to make the Willow Squares keeps this project fairly handy. I love getting into the middle of a square because each pass is so much faster than the first couple rows. Overall, I just need to keep at it. This is my traveling project and as such it doesn't get to much work done on it or pictures. I worked on this a lot this past semester because my professor let me knit during class. I also took it around when I was at Maryland Sheep and Wool for a Project to do when sitting around and resting. Really this guy usually lives in my car but it's looking pretty good for a travel project. Other than that I have so much more to tell about my travels and my weight loss journey so stay tuned for more updates. Amazing projects, love the squares! I do love the way you have your willow blocks in solid colours - they all look great!